The UN’s refugee agency has warned Spain to prepare for an increase in migrants arriving from North Africa as landings double compared with 2016, with more asylum seekers preferring the “safer” route to Europe from Morocco. The Morocco-Spain route is the fastest growing route for illegal immigrant crossings across the Mediterranean Sea, with current arrivals already pushing Spanish migrant reception resources to their limit, the United Nations Refugee Agency (UNHCR) has said. Breitbart London reported last week that 100,000 people have crossed the Mediterranean in the first half of 2017, with Italy remaining the preferred route for economic migrants departing the shores from Libya. The UN agency reports that though the Italian route saw a 32 per cent increase on migrant landings from last year, the Spanish route saw 6,800 migrants using it in the same period – a 75 per cent increase from 2016. The trend was more pronounced last month with 1,900 migrants reached Andalusia in June – four times more than the number of arrivals in the same month last year. Between 2010 and 2016, sea arrivals to Spain averaged just under 5,000 a year, according to government data; it is set to be more than 11,000 this year. 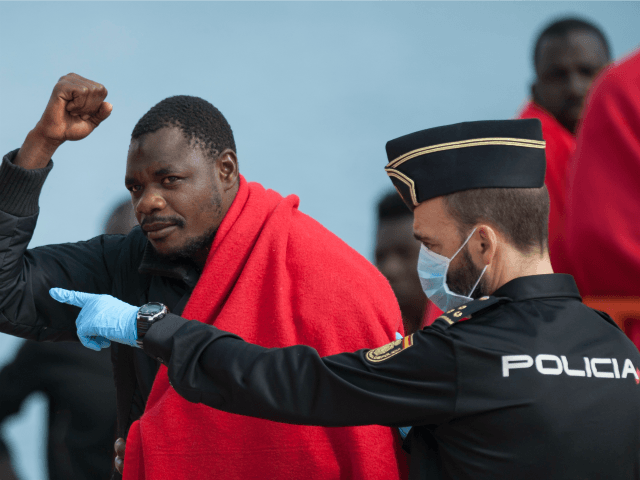 Last month, around 88 migrants from Morocco were picked up off of the Strait of Gibraltar – the strip of water that separates Morocco from the British Overseas Territory. The UNHCR said Spain was not prepared to handle the increase, with the spokesman for the organisation, Maria Jesus Vega, saying: “What is clear is that, they (Spain’s government) have to get ready. “They can’t be caught unprepared. What started happening elsewhere in Europe in 2015 can’t be allowed to happen here. The advice to Spain comes as Italy threatened to close her seaports to migrant NGO boats as the country becomes overwhelmed with the mass number of Africans arriving daily, with 13,500 arriving in one 48-hour period. An emergency European Union meeting meant to deal with the ongoing migrant crisis, which has seen more than a million asylum seekers and economic migrants arrive from the Middle East and North Africa since 2015, resulted in the European Commission urging members of the bloc to accept migrants directly from Egypt, Ethiopia, Libya, Niger, and Sudan. The EU has highlighted 37,000 “vulnerable” people to be resettled in the EU, on a “voluntary” basis, with pledges expected from EU members by September 2017. European Commission Vice President Frans Timmermans, has said that Brexit does not exclude the UK from the relocation programme.